I’m not gonna lie, this cake stumped me for a little while. Every time I made it I couldn’t taste the lemon! After I made this for the second time and photographed it I decided it was good but not great. 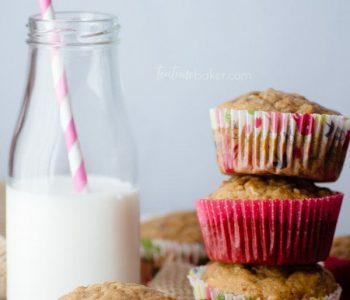 I hate putting all the work into baking something and then finding out it’s mediocre, and I’m sure you do too. I never want to do that to you! 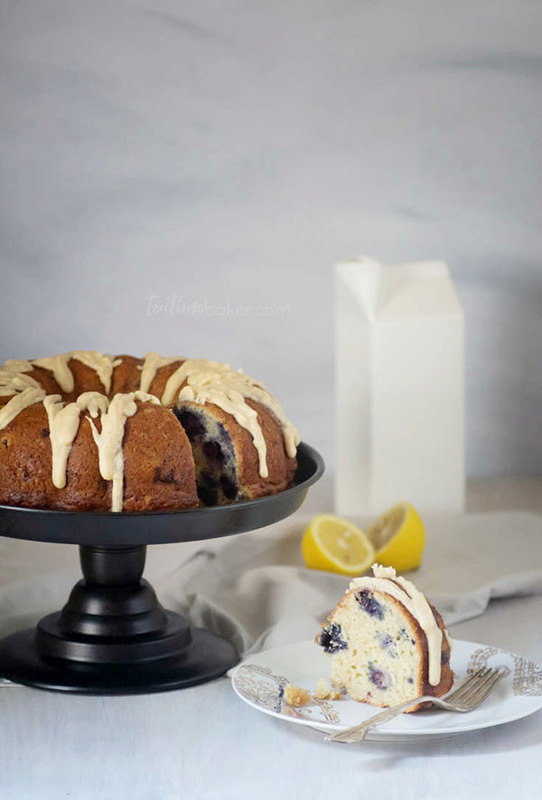 That is why I made this Lemon Blueberry Bundt Cake four times to make sure it was delicious. This is my first bundt cake recipe and the only thing I don’t like about it now is my boring old pan shape. More on that in a minute. We are getting ready for vacation right now but I knew this cake had to be really good before I posted it. I whipped out two more to test taste yesterday and I still felt the lemon was underwhelming. Finally I found a solution. 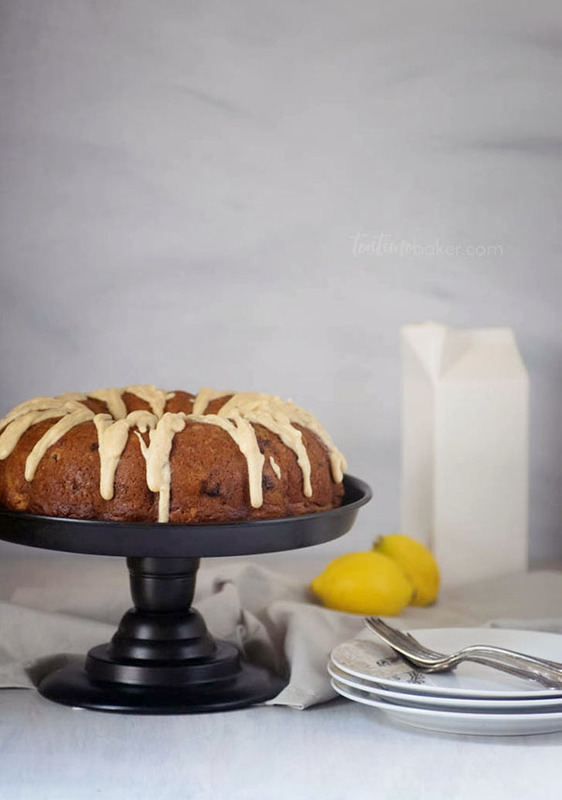 Extra lemon in the cake + zest in the brown butter glaze! I forgot to thin the glaze before putting it on the cake so yours will be a little less thick and unwieldy. Live and learn, right? Brown butter icing/glaze is all the rage right now so I figured I should at least try it. 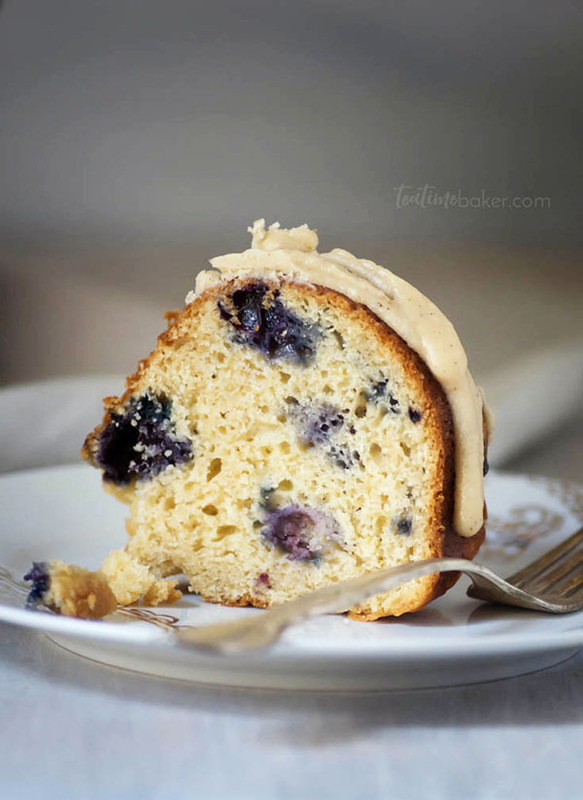 It’s tasty and not too difficult so it works well on this Lemon Blueberry Bundt Cake. I looked up origin of the bundt cake because the history nerd in me wants to know where this cake came from. Research tells me it was inspired by the Gugelhupf or Kugelhupf which is a yeasted cake baked in a circular ceramic mold. 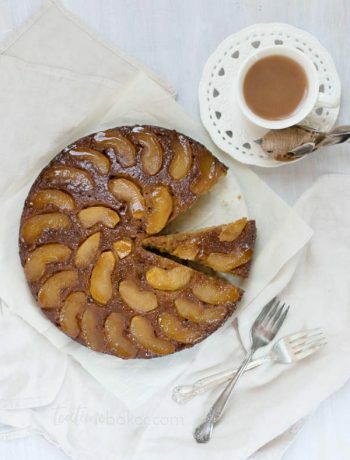 This cake was popular across central Europe and dates back to medieval times! 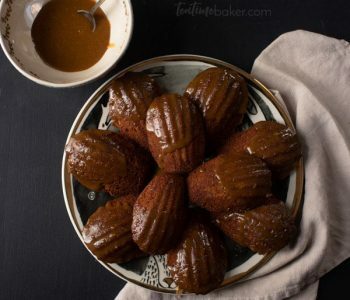 H. David Dalquist, the owner of Nordic Ware, invented and named the bundt pan in 1950. 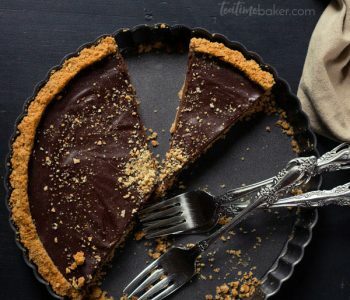 It became popular in 1966 when Ella Helfrich won second place in the Pillsbury Bake-Off with her Tunnel of Fudge bundt cake. After that it skyrocketed into mainstream cake ware. The heritage pan with those deep grooves is just begging to have a rich glaze running down it. I really love the intricacy of the Nordic Ware crown bundt pan. Look at that beautiful texture it creates! 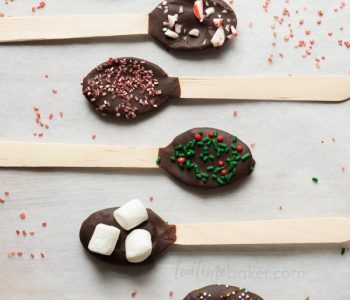 At first this pine forest seems a little gimmicky, but I really want to try it in the winter with a dusting of powdered sugar. Enjoy the rabbit hole of amazing bundt pans! 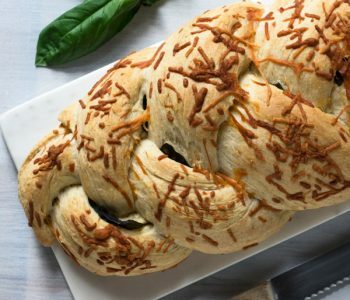 I have now added the Kugelhopf to my list of things to try baking. Bread and cake in one delicious package sounds like a win to me. For now I’m just going to have another cup of tea and a slice of Lemon Blueberry Bundt Cake and enjoy the last few weeks of summer. 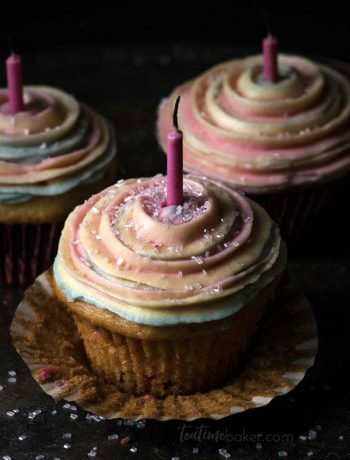 I’d love to see your cakes if you try this. Tag me on fb, instagram, or twitter @teatimebaker. Don’t forget to pin it for later too! 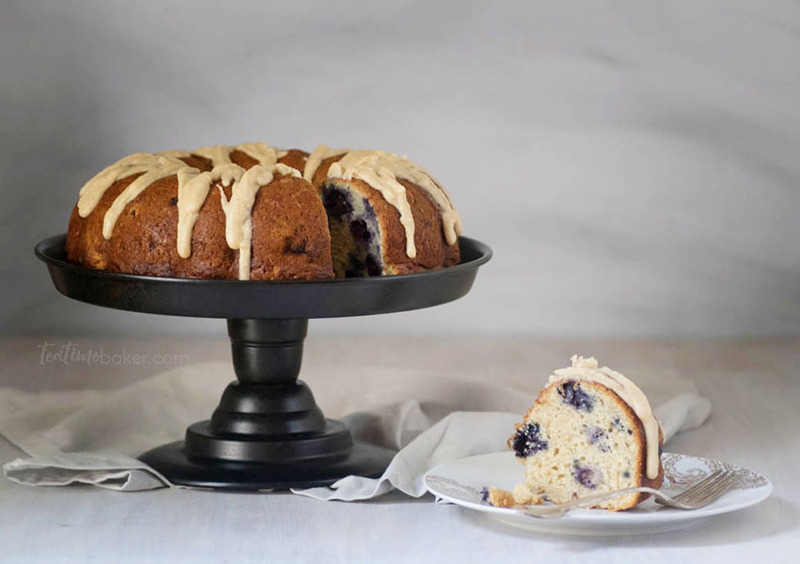 Fresh flavors of lemon and blueberry meld in a dense but soft bundt cake. 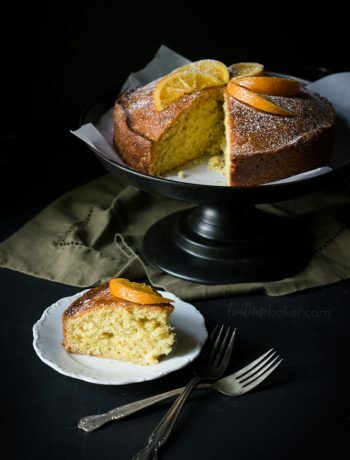 Top it with lemon brown butter glaze and you have the perfect end of summer cake. Pre-heat oven to 375 F (190 C) and grease your bundt pan. Zest your lemons and if you're making buttermilk combine the lemon juice and milk and let it sit while you work. Whisk together the dry ingredients, stir in the blueberries and set aside. In a large bowl whisk the eggs, vanilla and lemon zest. Gently stir in yogurt and buttermilk. Add the dry ingredients and stir a few times until it starts to come together. Pour in melted butter and stir until just combined. Pour into your bundt pan and smooth the surface. Bake for 30 mins. (check your cake after 25 mins) The cake is done when it's a golden brown color and a toothpick comes out clean. Let it cool in the pan for 5 minutes then turn it out onto a cooling rack. Melt the butter over medium heat, once it is melted add the lemon zest and continue to simmer until the butter is a golden brown color. Keep an eye on it so it doesn't burn! Put the powdered sugar in a medium glass measuring cup. Add the browned butter and whisk together. Add 1-3 tsp of hot water one at a time until you reach the desired pouring consistency. Pour the glaze over the cooled cake and serve. I want to see a cake baked in the pine forest pan! 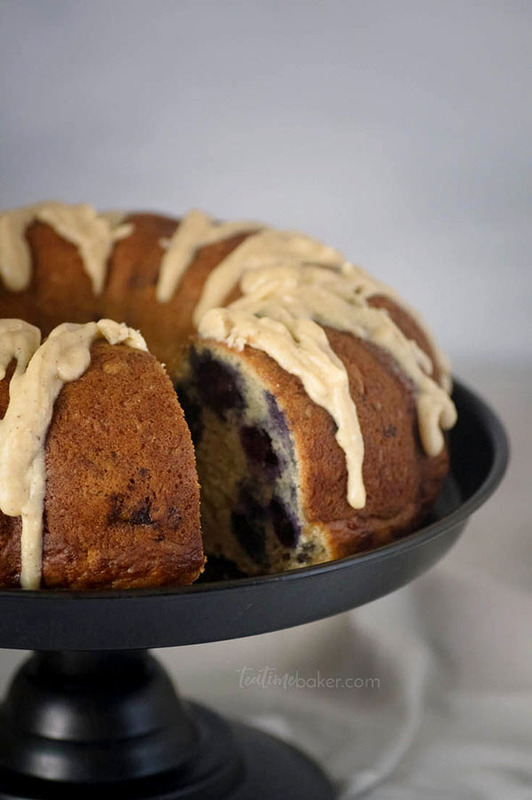 And you can make us the blueberry cake when you visit us…. Isn’t it cool?? We’ll definitely have to bake some fun stuff!